Building your own home and having it designed precisely to your specifications and needs is a big dream for many people. It isn’t a particularly easy dream to fulfill for many. Not only do you need to find a decent plot of land for sale, but you have to work out exactly what you want your home to be like and make sure you have a big enough budget to cover it all – and a little extra for those things that undoubtedly will not go to plan! If you don’t get it right, you could not only end up wasting lots of valuable time and money but be stuck in a nightmare house instead of your dream home. Here we look at a few things that are essential to avoid when building your own home. Not planning the space effectively. One of the best things about building your own home and the main reason why many choose to go down this path is that you can have complete control over the layout of your home. Unfortunately, while it sounds like lots of fun to be able to do this, many people have no idea how to plan and use the space effectively. Before you start, you need to think about all of the things that you do in your home – sleeping, eating, washing, relaxing, socializing etc. – and make sure you have designated spaces for all of these activities. You also need to take into consideration storage space. Every single room in the house needs to have storage, and if you do it carefully, this can be built in and subtle. Not being careful with the small details. When you are designing and building your own home, it can be so easy to get caught up in the significant details, but sometimes, it is the smaller ones that can cause the most issues if not planned for and dealt with correctly. Think about where you are planning on putting plug sockets – do you want them in easy access of your bed, for example? 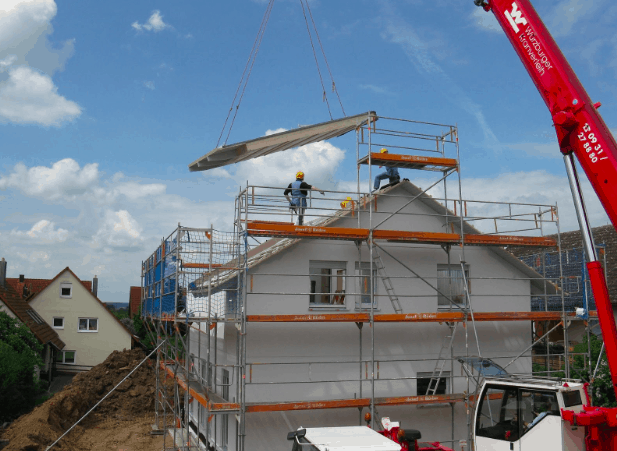 Very few people can build their own home without at least some help from the professionals, and before you hire someone, it is imperative that you do some research on them. As much as it would be lovely to think that everyone out there is honest and ethical, there are sadly a few dodgy contractors that will do a shoddy job or mess you around. Lower the odds of this happening by doing your research and asking for local recommendations. Pretty much nobody likes living in dark and dingy homes, but sadly, many of us do because of poor planning from designers and builders. When you are making your blueprint for your home, factor in lots of windows and opportunities for natural light. A window replacement guide is handy for this step. Think about big sliding glass doors onto the yard or patio, floor to ceiling windows and roof windows.